12% OFF for all the rates if you book on our official website. What are you waiting for? 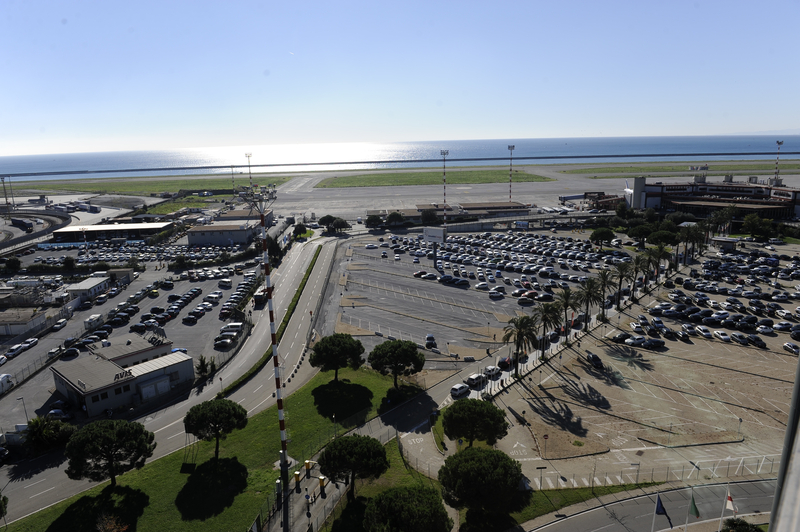 Conveniently located near the airport and the city, 6 km from the historic center, and 15 minutes walk from the new marina of the Marina di Genova. 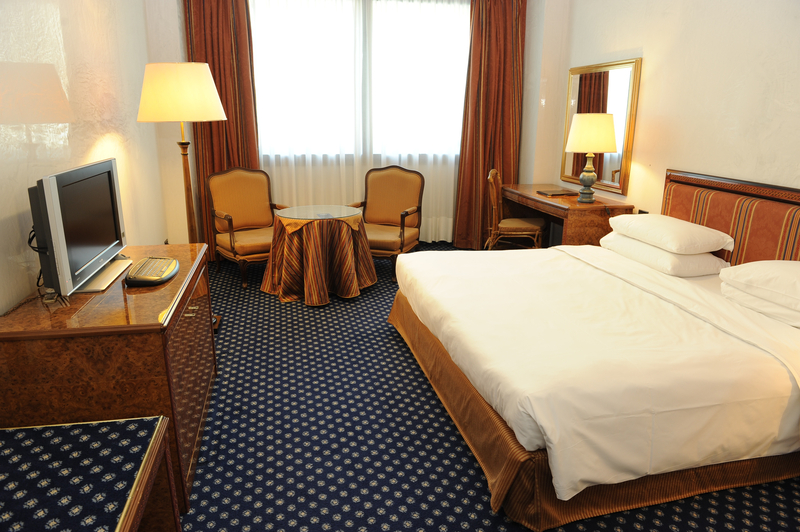 The high quality of the services offered makes the hotel a point of reference for business people, thanks to the 283 rooms and the Congress Center with 21 rooms. 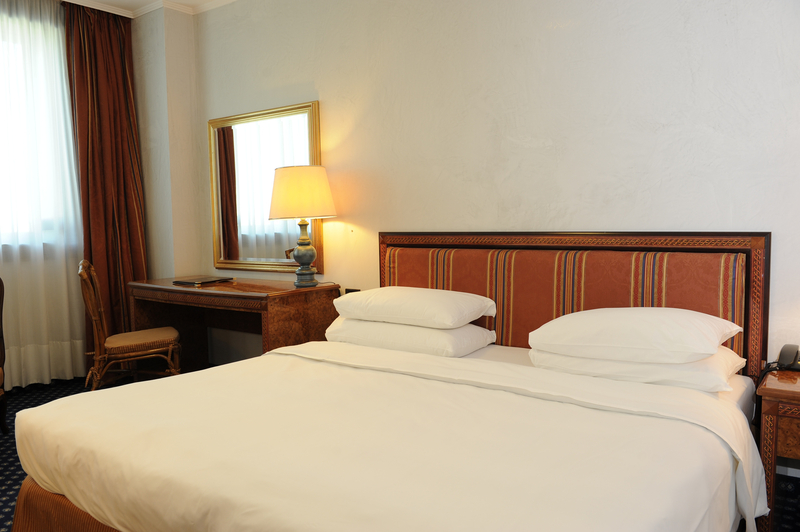 If you book through the official website, we always ensure you the best rate. In our Hotel we have the Super WiFi. A fast, efficient and free service for all our guests. 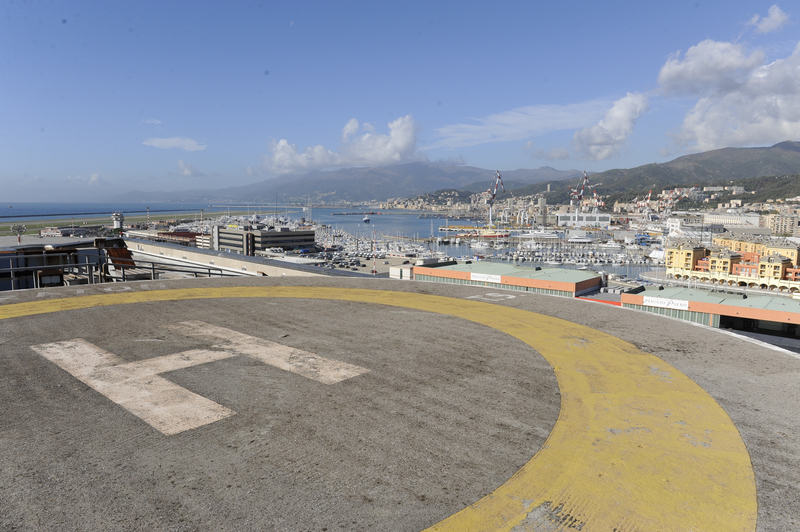 With our Free Shuttle you easily reach the city center of Genoa. Download the timetable HERE! 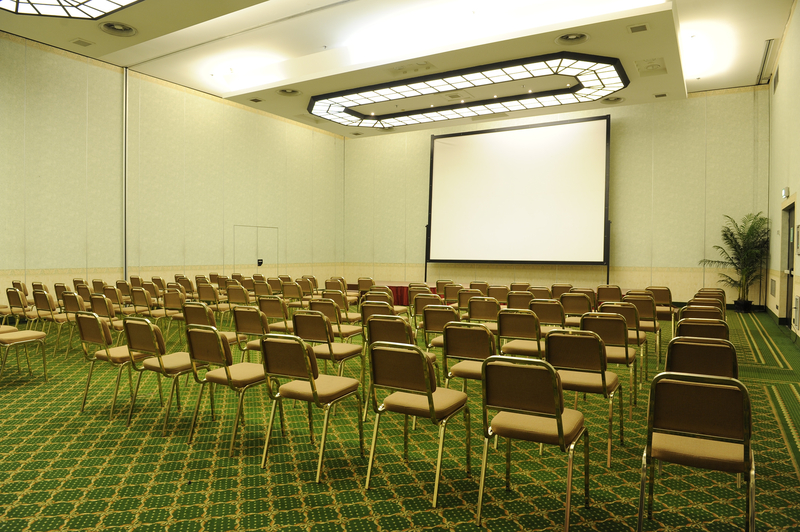 The largest congress centre in Liguria with 21 modular rooms for any kind of event. Request info and Quote HERE! The DUS room is a 30 sqm spacious and comfortable twin bedded room(110x200), equipped with independent temperature control, telephone, TV, safety, minibar, hairdryer, marble bathroom from Carrara with bathtub and shower. Classic myrtle burl furniture and full soundproofing contribute to total relax. Free Wi-Fi connections up to three devices. 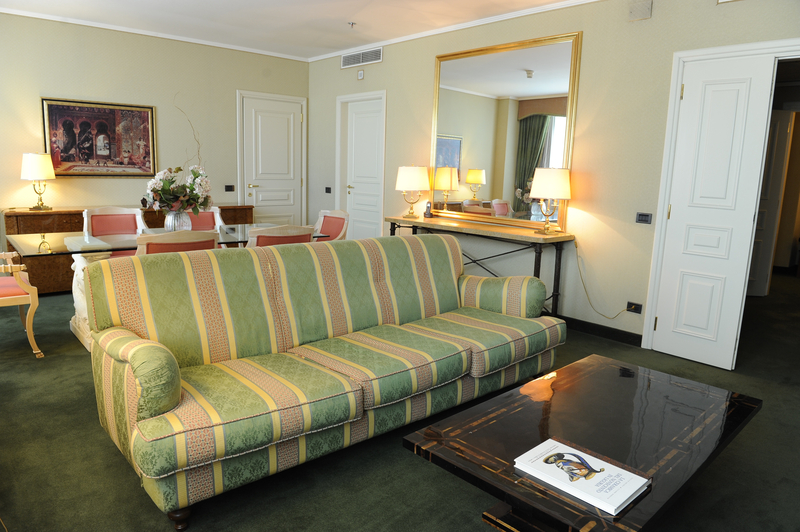 The Double King Room is a 30 sqm spacious and comfortable room with king size bed (200x200), equipped with independent temperature control, telephone, TV, safety, minibar, hairdryer, marble bathroom from Carrara with bathtub and shower. Classic myrtle burl furniture and full soundproofing contribute to total relax. Free Wi-Fi connections up to three devices. The twin room is a 30 sqm spacious and comfortable twin bedded room(110x200), equipped with independent temperature control, telephone, TV, safety, minibar, hairdryer, marble bathroom from Carrara with bathtub and shower. Classic myrtle burl furniture and full soundproofing contribute to total relax. Free Wi-Fi connections up to three devices. 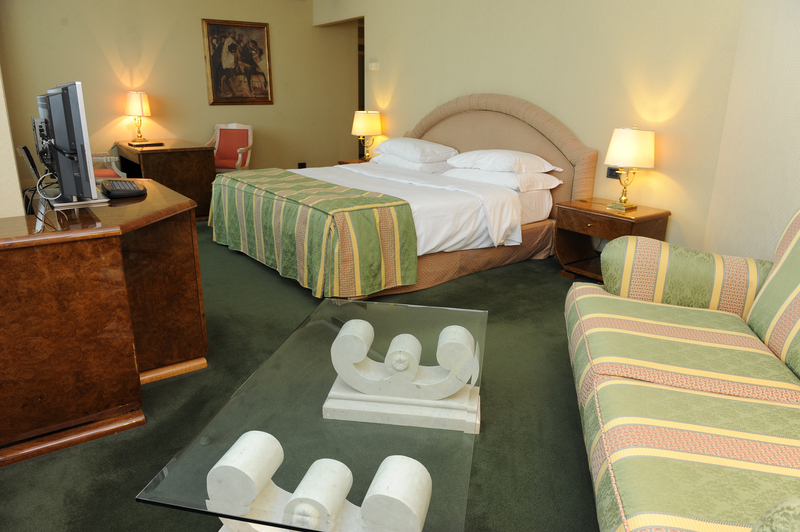 The Triple room is a 38 sqm spacious and comfortable room. We have two differente version: 3 single beds (110x200) or 1 king size bed (200X200) and a single bed, equipped with independent temperature control, telephone, TV, safety, minibar, hairdryer, marble bathroom from Carrara with bathtub and shower. Classic myrtle burl furniture and full soundproofing contribute to total relax. Free Wi-Fi connections up to three devices. 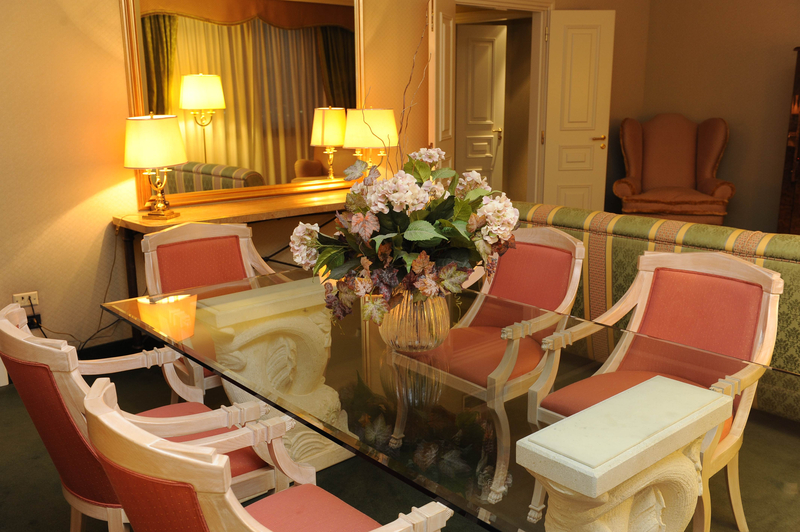 The Junior Suite is a very spacious room (45 sq. m.) and is equipped with a king size bed (200x200). The junior suite is enriched by a small sitting area, autonomous temperature control, telephone, TV, safe, minibar and hairdryer. Carrara marble bathroom with jacuzzi and shower. Furniture in myrtle Root, classic furnishings and soundproofing contribute to total relaxation. Free Wi-Fi up to three contemporary devices. Our Presidential Suite with more than 100sqm of surface is provided with a king size bed (200x200) in a separate room, large lounge also for small meetings, walk-in closet and hallway, spacious bathroom in Carrara marble with Jacuzzi and separate walk-in shower, plus a small bathroom service. It is equipped with autonomous temperature control, cordless telephone, TV, safe, minibar and hairdryer. Furniture in myrtle root, fabrics shaved by delicate nuances, classic furnishings and soundproofing contribute to total relaxation. Free Wi-Fi up to three contemporary devices. 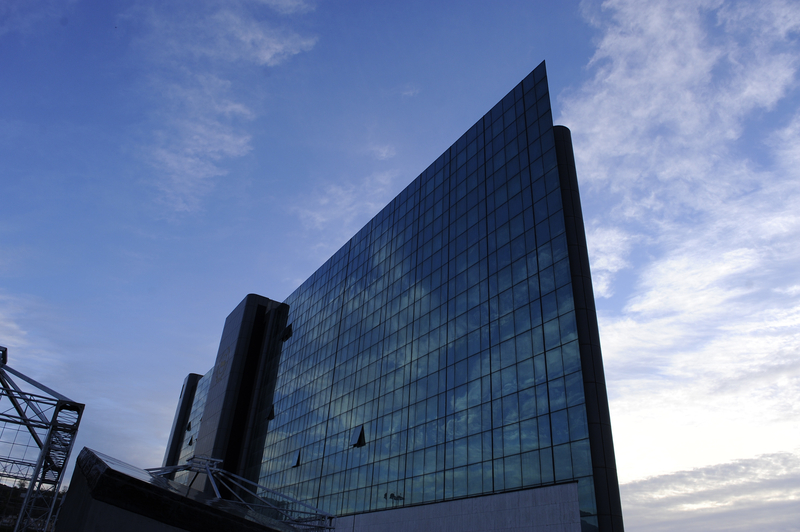 The Tower Genova Hotel Airport Hotel and Conference Center has 283 rooms arranged on 11 floors, equipped with glass and panels for acoustic abatement and designed to provide maximum relaxation. 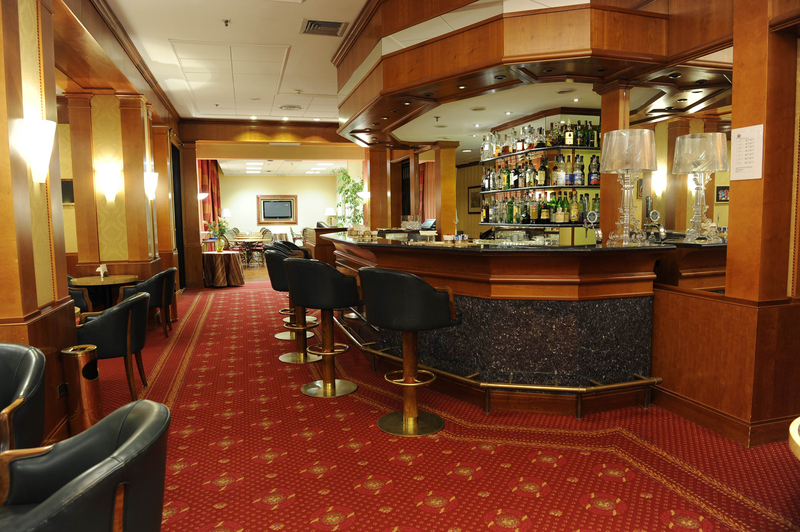 The first airport hotel in Italy is able to satisfy the business clientele, given the proximity to the airport, and is the ideal solution for families or for those who travel with friends, offering also the possibility to choose communicating rooms. Cots are available on request and availability for children. The Tower Genova has WiFi Internet access (FREE) in the rooms and public areas. SMALL PETS ARE ALLOWED AT A COST OF €30 PER DAY. Cancellation costs will not be charged if the rate is refundable and the reservation is cancelled by 18:00 hours of the day before arrival. In case of non-refundable rate, the inside amount is charged at the time of booking and cancellation does not provide refunds. Always at the service of our customers, the Tower Genova Hotel also presents its restaurant "Il Portico": it offers a traditional cuisine with a modern creativity and an international touch. 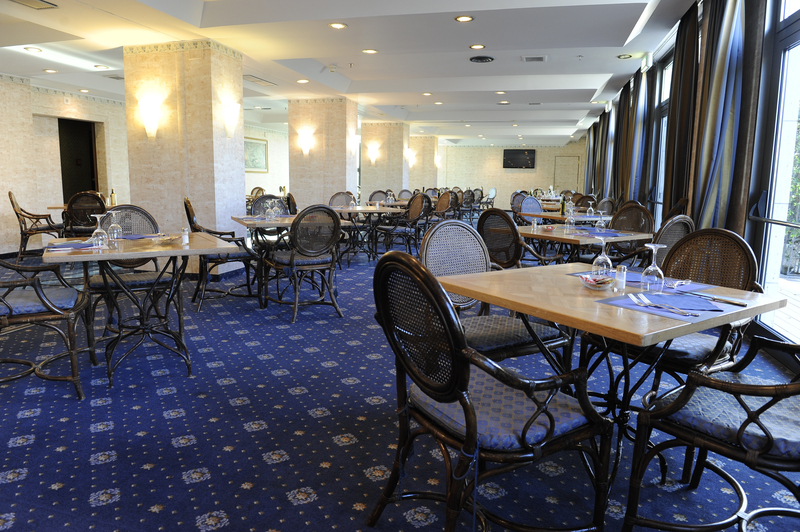 Ideal for receptions, breakfasts, business lunches and dinners, and thanks to its exceptional capacity, about 950 seats available, it is the ideal solution for banquets, weddings, private parties and conference events. The breakfast buffet is served from 07:00 to 10.00, for individual customers, in a very comfortable and intimate room located on the first floor of the hotel. 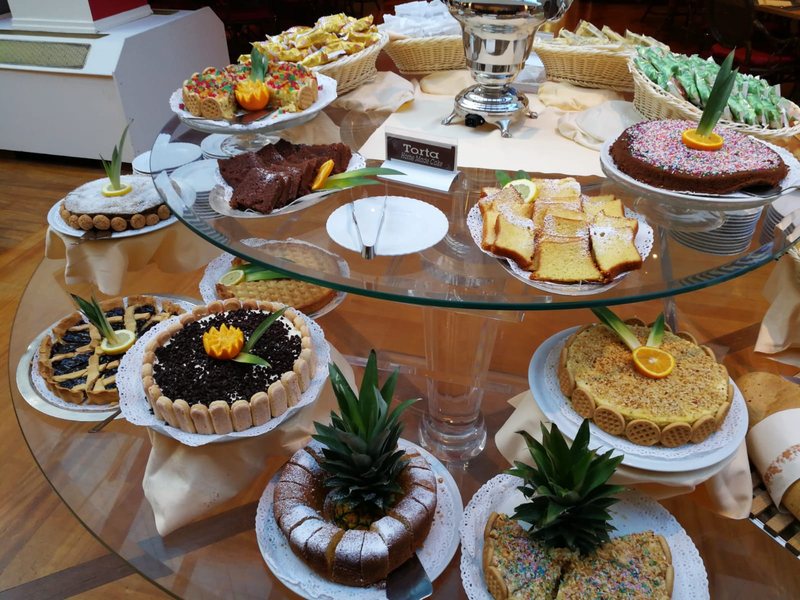 Every day we offer a great choice of homemade products and suitable for the tastes of a national and international guest: a wide selection of stuffed and non-filled cakes, croissants, "homemade" pies and homemade biscuits, sliced meats, cheeses and vegetables, as well as yogurt, cereals, fresh fruit, eggs and bacon. For the aperitif you can relax in the "Bistrot Albatross" try a selection of Italian wines and preparations on request, accompanied by appetizers and delicious chef. 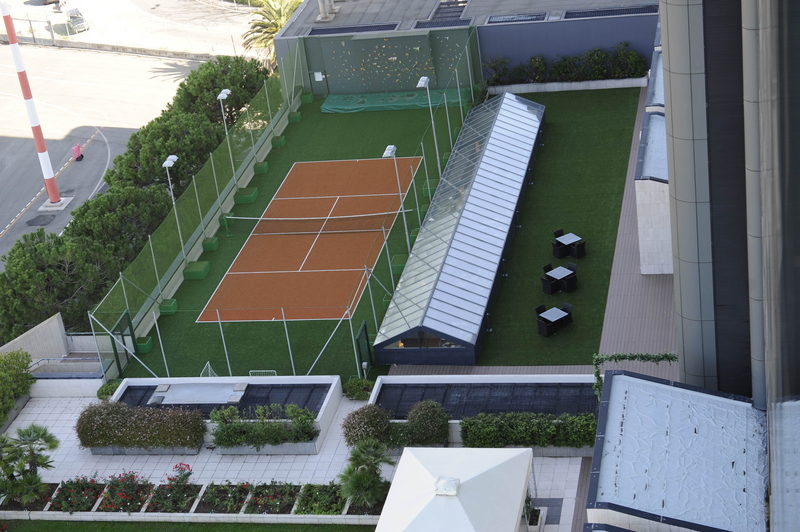 In summer, the exclusive terrace opens its doors to customers for aperitifs, dinners and Gala events. Hourly from 09:30 hours to 11:30 and from 16:30 to 21:30. The collection points are: Front hotel, Bar Tonitto-Piazza Dante in the center of Genoa. Click here to download and always have to click the timetable of the shuttle. CAN'T FIND THE FARE FOR YOU? THE LARGEST CONGRESS CENTER OF LIGURIA! 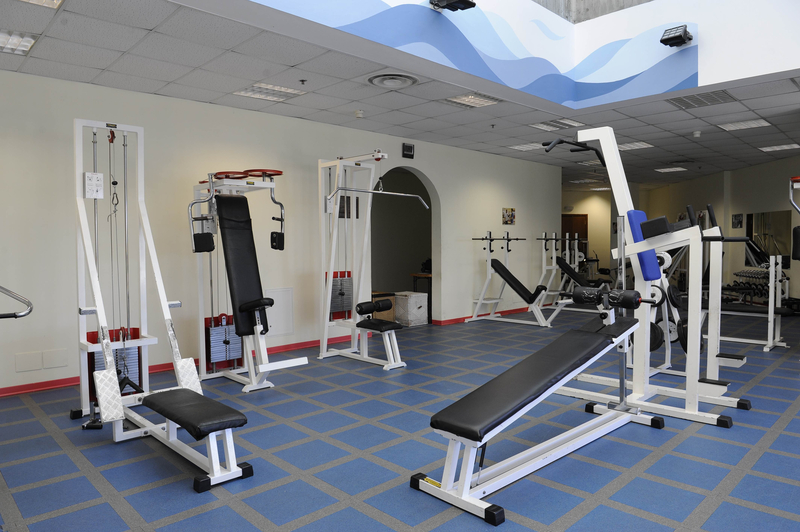 The Tower Genova Hotel is equipped with 21 modular rooms, which can be converted into 36 effective rooms and equipped with all the comforts and congress instruments. 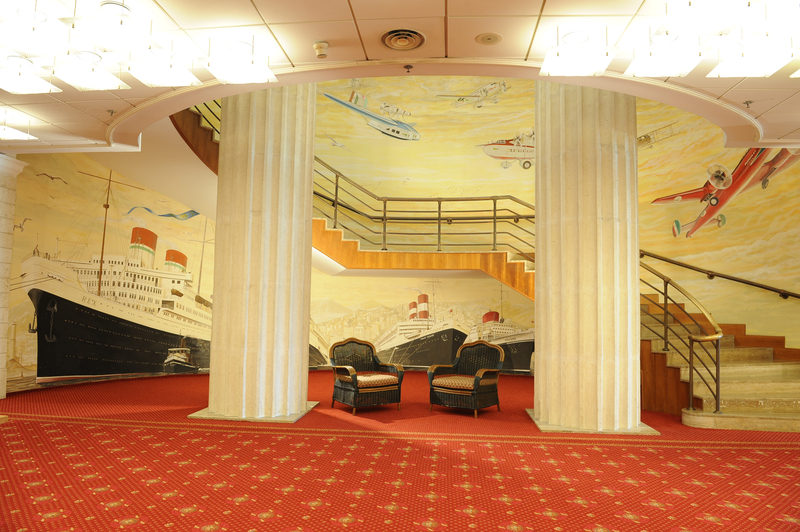 FOR YOURS MEETING, EVENTS OR SHOW ROOM IN GENOVA CHOOSE TOWER GENOVA HOTEL! From the 1000 seats of the Rex Salon to the 15 seats of the Saturnia Studio, we cater to all congressional needs. 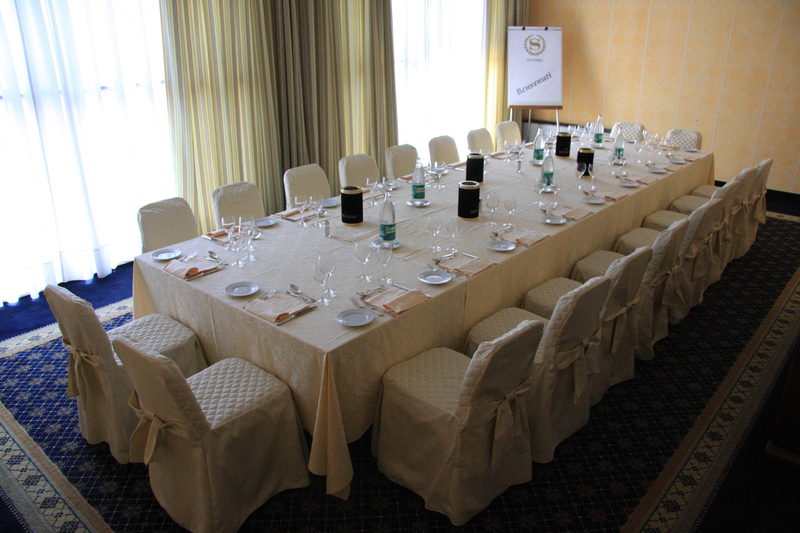 NOT ONLY MEETING, BUT ALSO BANQUETS AND GREAT BUFFETS AT THE TOWER GENOVA HOTEL! 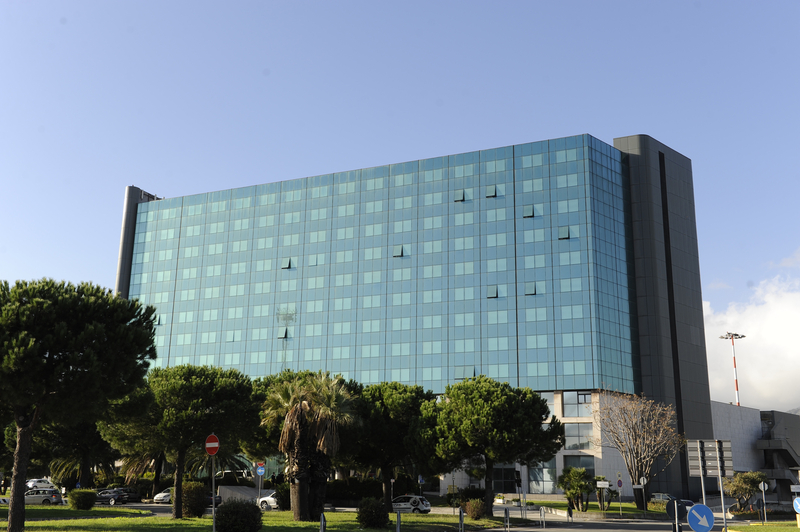 Enter your email to keep informed about promotions, offers and events on Tower Genova Airport Hotel & Conference Center.